After two years of collaboration with Rotterdamse Schouwburg, Museum of Water Rotterdam launches on Thursday 8 September 5-9pm. Amy has collaborated with Dutch artists Anouk Driessen and Sanneke van Hassel to build a Museum of Water bespoke to Rotterdam. 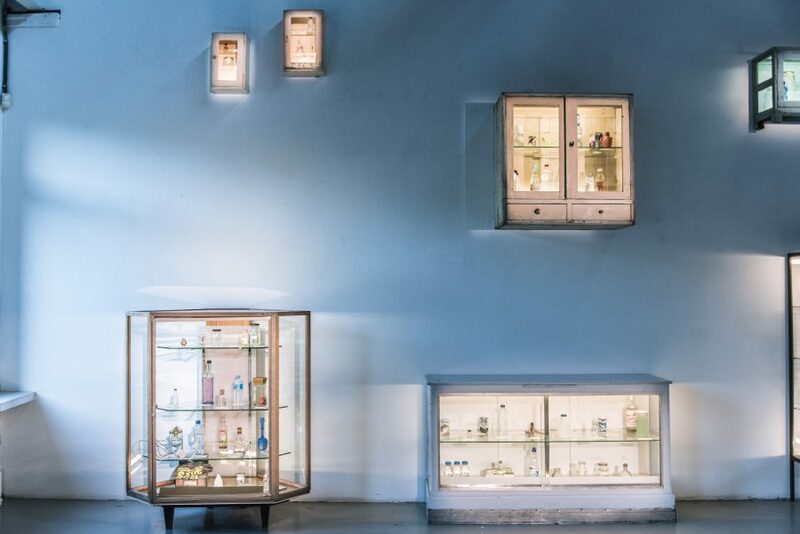 Taking place at Het Gemaal op Zuid (the water pumping station for South Rotterdam) and collecting water all month, donations to the Museum will be displayed across an extraordinary wall of cabinets. In the Netherlands we have joined with the Dutch artist Fedde ten Berge to build fantastic machines to begin to access the archive of sound recordings from our collection, and a wide programme of sound artworks across the month. Over the last months, hop plants have begun to grow along the high fencing of the Gemaal, planted by a local Moroccan women’s group, encouraged by a wall of dripping water. Visitors can enjoy a glass of fresh water at our beautiful Water Bar, designed by Dimitri Kruithof, from the reinforced steel joists that are the fabric of this city. 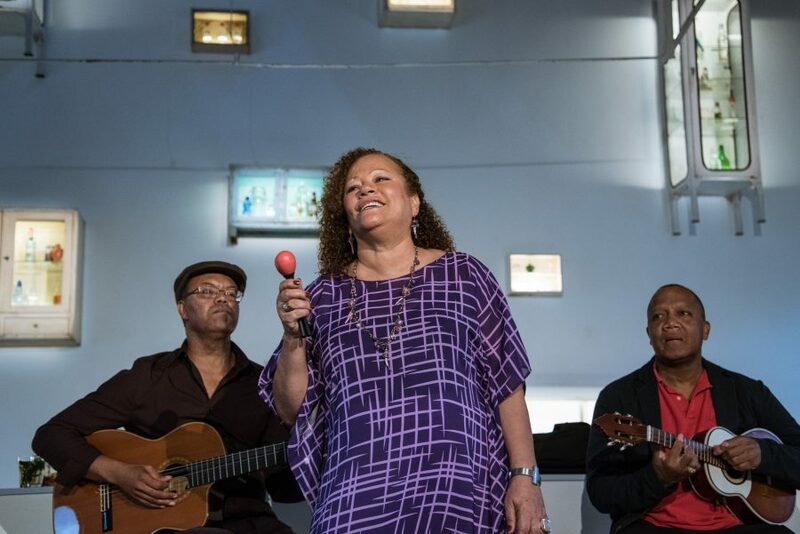 A programme of cultural events will run across the weekends of September, beginning with a weekend of water games for children with the French company Jeux d’O, 10m of canal water systems to play with and a large waterfight in the park. 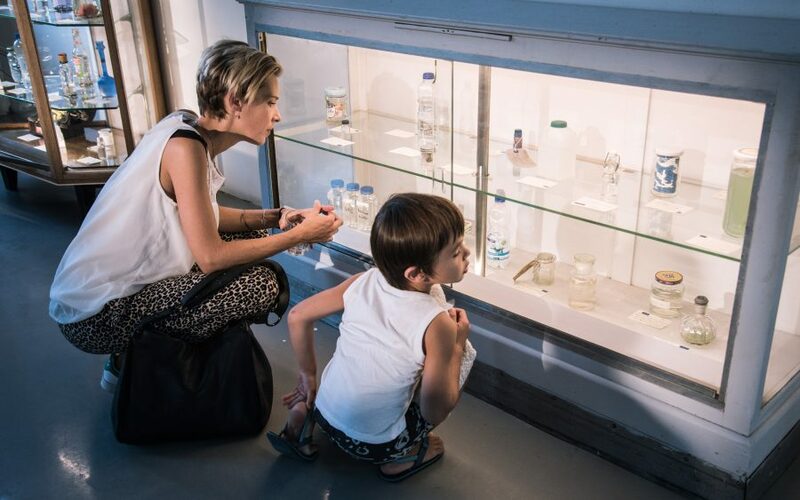 The Museum continues on the weekend of 16-18 September with a Faculty of Water, tracing the molecules that move water around our body out to the fiscal management of water across the city and our rights of access to it, and on to philosophical ideas and the seas of imagination. 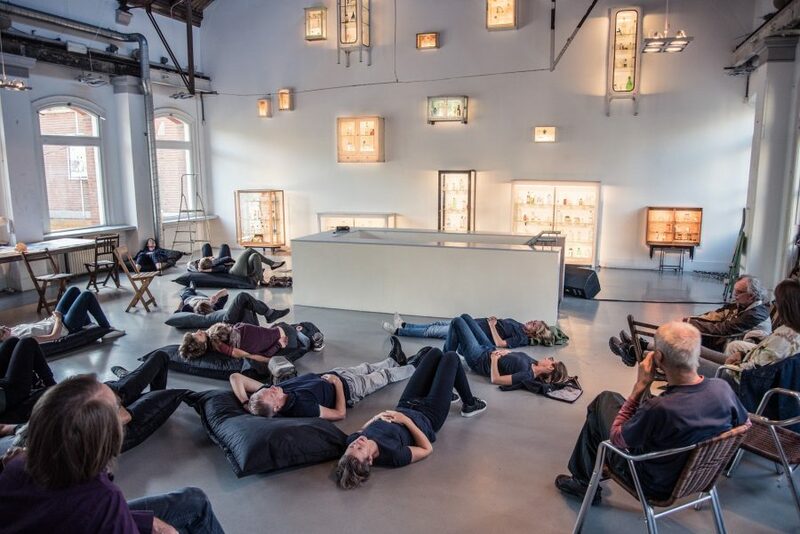 We end with a weekend on the sounds of water: lying on bean bags around the collection, you can listen to the soundscape of a glacier melting into seawater, recorded and designed by Jez Riley French, or come and hear the Senegalese singer Jacqueline Fortes sing of missing the water from her homeland. 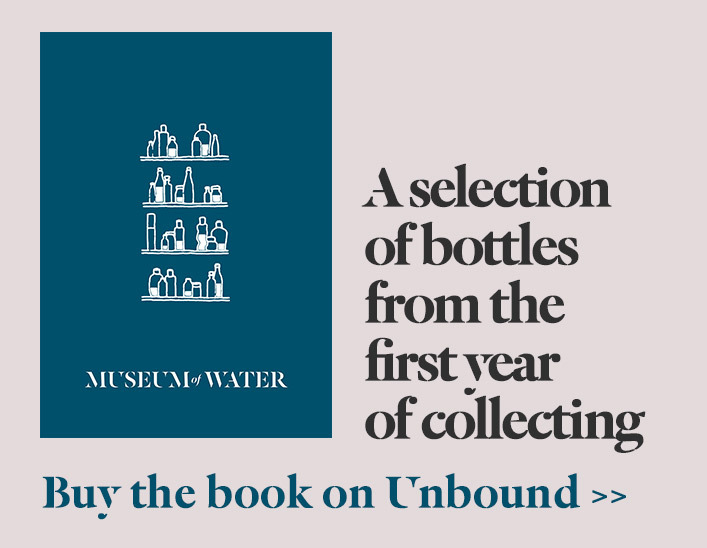 Museum of Water – Rotterdam from Rotterdamse Schouwburg on Vimeo. Museum of Water Rotterdam is commissioned by Rotterdamse Schouwburg and produced by Jolien Sanderse for Rotterdamse Schouwburg and Artsadmin in the UK. Created by Amy Sharrocks, Anouk Driessen and Sanneke van Hassel. Sound elements by Fedde ten Berge. Sound edits by Erik Post (The Netherlands) and Mary Ingoldby (UK). Lighting design by Marty Langthorne.